Yesterday, after a Saturday outing, we opened our front door and almost stepped on a beautiful moth in the entryway of our home. 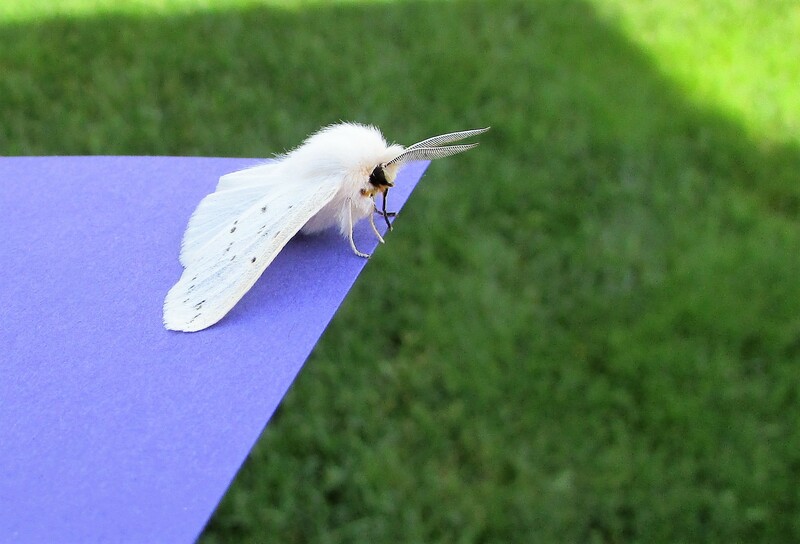 I didn’t want to damage the delicate creature by picking it up with my hands, so I coaxed it onto a piece of paper. Before it flew away I couldn’t resist taking a few photographs with my camera. I’m so glad I did. My eyes, even with magnifying glasses, couldn’t make out the wonderful detail of the moth’s features. Examples of God’s handiwork, such as this beautiful moth, with its ‘feathers,’ and sweet face, never fail to fill me with praise. Hallelujah! As I worked toward identifying the moth I came across the terrific site of Discover Life. 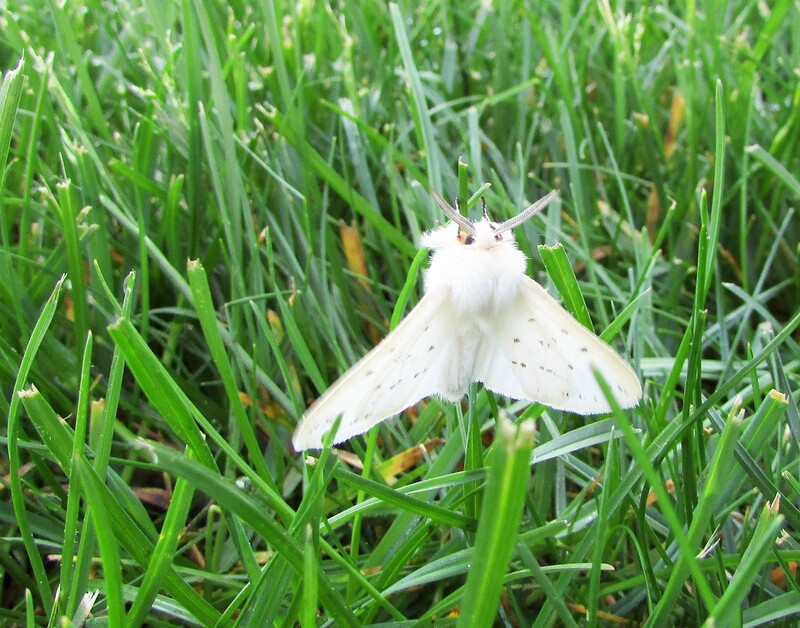 By filling in a questionnaire on various characteristics of my moth, I was able to narrow the search down to two types of moths: Lomographa vestaliata and Spilosoma congrea. 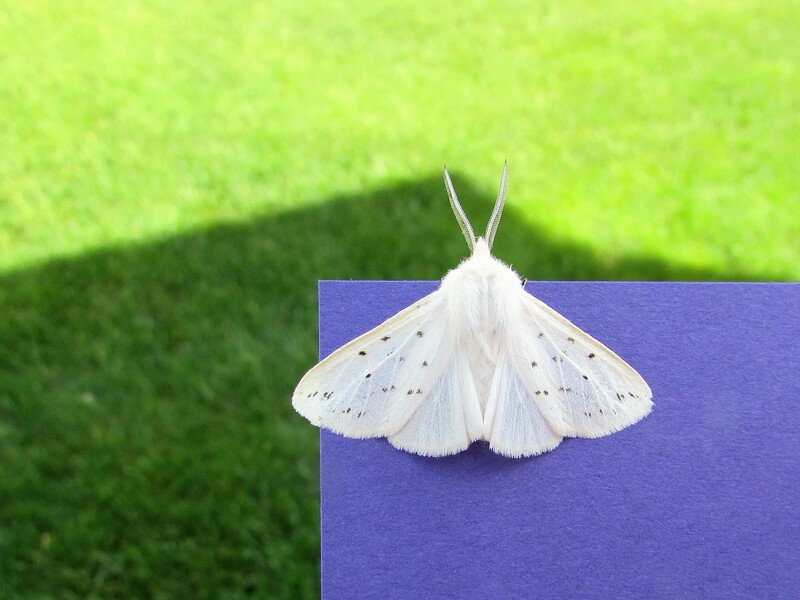 On further Google searches, I was able to rule out the Lomographa vestaliata, and say with surety my moth was a Spilosoma congrea, better known as an Agreeable Tiger Moth. 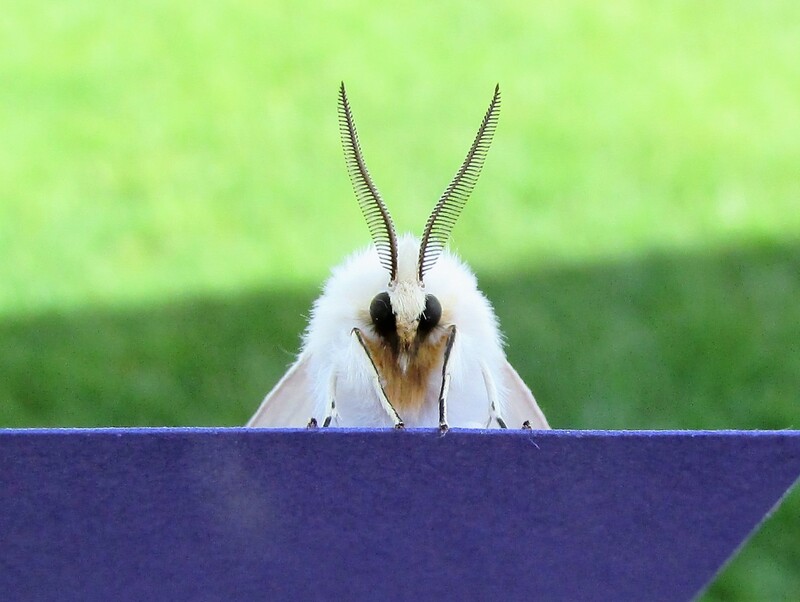 Its such a beautiful beauty of a moth. it even has fur ! God’s creations are marvellous but sometimes by their actions they can cause these creatures harm. You are right. I don’t think this is a destructive moth, but we have them in the area. The Gypsy moth can destroy a forest, and tent caterpillars are even now, in my area, defoliating some of the trees. See its woolly fur – it is a beauty. I’m glad you liked the moth portraits. I was amazed when I downloaded them, all the details my eyes couldn’t make out without the magnification. Such a wonderful post and a beautiful Moth. I have a phobia of moths but even I think this creature is beautiful. I love the delicate look of it’s face. It is a remarkable shot – bravo.